Sacrifice—ranging from the sacrifice of virgins to circumcision to giving up what is most valued—is essential to all religions. Could there be a natural, even biological, reason for these practices? Something that might explain why religions of so many different cultures share so many rituals and concepts? 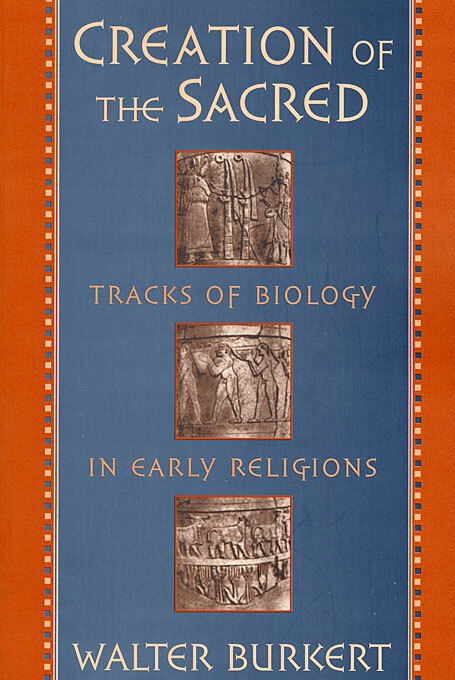 In this extraordinary book, one of the world’s leading authorities on ancient religions explores the possibility of natural religion—a religious sense and practice naturally proceeding from biological imperatives. Because they lack later refinements, the earliest religions from the Near East, Israel, Greece, and Rome may tell us a great deal about the basic properties and dynamics of religion, and it is to these cultures that Walter Burkert looks for answers. His book takes us on an intellectual adventure that begins some 5,000 years ago and plunges us into a fascinating world of divine signs and omens, offerings and sacrifices, rituals and beliefs unmitigated by modern science and sophistication. 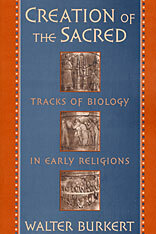 Tracing parallels between animal behavior and human religious activity, Burkert suggests natural foundations for sacrifices and rituals of escape, for the concept of guilt and punishment, for the practice of gift exchange and the notion of a cosmic hierarchy, and for the development of a system of signs for negotiating with an uncertain environment. Again and again, he returns to the present to remind us that, for all our worldliness, we are not so far removed from the first Homo religiosus. A breathtaking journey, as entertaining as it is provocative, Creation of the Sacred brings rich new insight on religious thought past and present and raises serious questions about the ultimate reasons for, and the ultimate meaning of, human religiousness.